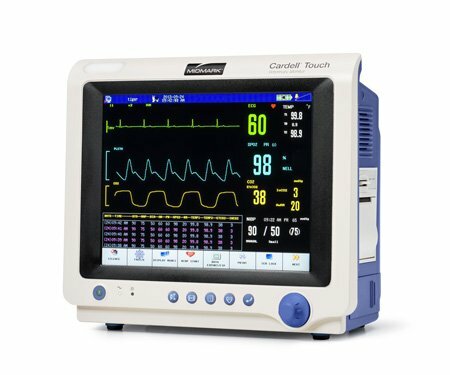 Even though we generally use this monitor when an animal is under general anaesthetic, we sometimes use it during consultations because it can easily measure blood pressure. It also monitors a range of other parameters such as oxygen saturation and heart rate. It’s a very handy piece of equipment. The Cardell Monitor is attached to the animal by a probe that clamps onto the animal’s tongue. This gives a reading for the heart rate and oxygen saturation. An inflatable cuff measures blood pressure. Its readings are very accurate. We do trust it fairly heavily but I still double-check it with a stethoscope and by monitoring the visuals. Invariably, the readings are correct. The display screen is small but easy to read. A quick glance is all you need to access the information. We’ve been using this unit constantly for the past few years and never had any issues with it. You just have to ensure it is charged before going into surgery. The clamps are not autoclavable but can be easily cleaned with 70% isopropyl alcohol. The only negative I’ve noticed is that when doing a dental on a dog, their tongue can get a bit slippery and the clamp sometimes slips off. If there was an attachment that held it onto the tongue a bit better, that would be great.